The decision to withdraw age statements from The Macallan whiskies in travel retail has led to a significant drop-off in sales at World of Whiskies, according to a source at the store. The Edrington Group moved to withdraw age statements from The Macallan’s travel retail portfolio as it became apparent there was not enough stock to meet future demand, but the World of Whiskies source at the London Gatwick North Terminal store told the drinks business that consumers are now ignoring the brand in favour of those that state their age. The Macallan launched a new “family” of single malts dedicated to the global travel retail sector in 2008. 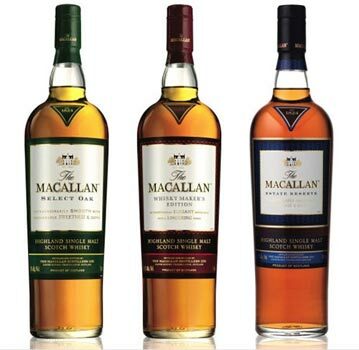 The 1824 Collection of four expressions – Select Oak, Whisky Maker’s Edition, Estate Reserve and 1824 Limited Release – was created by John Ramsay, the now retired master whisky maker for parent company The Edrington Group, and Bob Dalgarno, The Macallan’s whisky maker. The World of Whiskies source said: “We hardly sell any of The Macallan since they made the switch. The new range is really struggling.